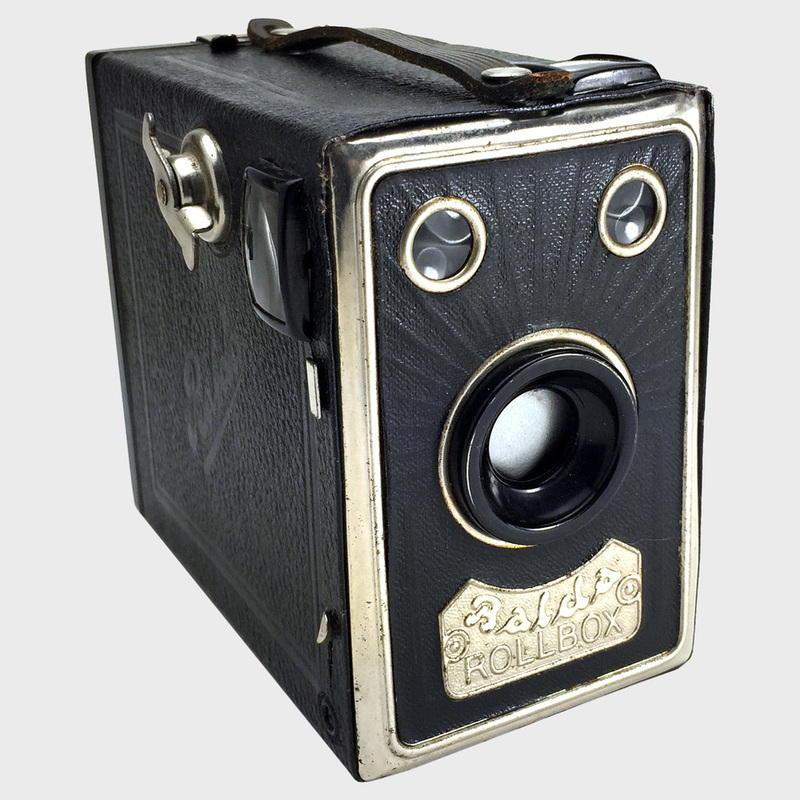 The Medium Format Box Camera Company - Balda Rollbox "Starburst"
There were a few versions of the Balda Rollbox produced in Dresden Germany, but this 1935 model was the standout beauty of the bunch with the embossed starburst pattern on an otherwise plain faceplate. In fact, the faceplate elevates what is an otherwise very basic box camera. We have actually used the camera pictured at right, and we found it to be very lightweight and easy to handle. It's general lack of features makes it very straightforward to use - and due to its rarity and beauty, we recommend it if you find one in good condition. We found this camera to be a bit louder than many of its peers, but it is pleasingly mechanical - nothing close to the obvious "snick" of a digital camera shutter. Removing the faceplate is far more difficult than some other cameras - using a metal shim to pry from the top center appears to be the proscribed method. Be careful or you will bend the body itself. The good news is that even though our test model was bent in front, it did not have light leaks! While it's not the best or prettiest, we love this camera anyway. Great looking camera for 80 years old. Somewhat rare, but also somewhat basic.